In this Hemp Herbals review, I am going to disclose everything you need to know about Hemp Herbals and its business opportunity. Is Hemp Herbals a scam or a legit opportunity to make money, you will find out in the next few minutes. In all the states in America, the CBD (Cannabidiol) supplements derived from hemp are 100% legal to purchase and consume. Kannaway was the first ever MLM company that sells hemp herbals and dietary supplements. Many others followed their lead, including Hemp Herbals. The legalization of consumption and selling of hemp herbals opens up a new gold mine of opportunities for investors, entrepreneurs and consumers alike. There are 7 ways to earn with Hemp Herbals. Why is there a 95% failure rate in MLM industry? Is Hemp Herbals a Scam? Hemp Herbals is actually a product line under the company called Heart & Body Naturals (HB Naturals). In addition to Hemp Herbals, HB Naturals promotes a wide range of products including Superfoods, Personal Care, Bio Minerals, Coffee, Weight Loss and many more. They even have Pet products for sale! Heart & Body Naturals was founded in 2012. It is a family owned debt-free global company based in Kentucky. They have more than 200+ products including the Hemp Herbals today. The company’s motto is “Make A Living While Having A Life”. Similar to other MLM companies, HB Naturals also offers a generous incentive plan to its members. Heart & Body Naturals, the company behind Hemp Herbals was founded by Paula Scarcella, Ben Scarcella, and the respected Alexandria Brighton. Alexandria Brighton is the owner of the Brighton Institute of Botanical Studies and a distinguished international aromatherapy formulator. Hemp Herbals by HB Naturals are products that contain a full spectrum CBD oil using their own company-grown hemps. The hemps were harvested and CO2-extracted in Kentucky. HB Naturals proudly claims that their hemps are compliant with the FDA Farm Bill and grown 100% in accordance with the US Federal hemp regulations. Hemp is a completely different herb from marijuana, but both belong to the Cannabis family. You can learn more about the key differences between Hemp and Marijuana in this very short video. Hemp Herbal products include a range of CBD oils (for you and your pets), CBD oil infused coffee, and more. Everyday - A pure and organic fresh full-spectrum CBD infused in organic Hemp Seed oil, Copaiba Essential Oil, Frankincense Essential Oil, and Peppermint Essential Oil. Rise - A premium and 100% organic Arabica Coffee from Brazil with a rich, smooth flavor. Naturally low in acidity, RISE delivers THC-free water-soluble cannabinoids in every cup. Hemp Seed Bath Bar - A hypoallergenic vegan soap with a luxurious blend of essential oils and botanical extracts. The base is derived from organic Palm, Coconut, Olive, and Palm Kernel oils. 4Paws - A farm fresh full-spectrum CBD oil for your PETS. 4Paws is rich in phytocannabinoids, terpenes, omega 3-6-9, flavonoids, and other nutrients. To view Hemp Herbals’ full product list, click here. Apart from their products, most people have been searching for Hemp Herbals’ reviews due to the fact that the company offers its members a generous incentive plan. Hemp Herbals offers an exciting opportunity that rewards its members with commission and incentives for referring and selling their products. You can also earn by sponsoring other people to do the same. Hemp Herbals offer a FREE MEMBERSHIP to anyone interested to start doing business with the company. You just have to complete a signup form in the HB Naturals official website. Once you complete this process, you can purchase Hemp Herbals products at a discounted price among other benifits. 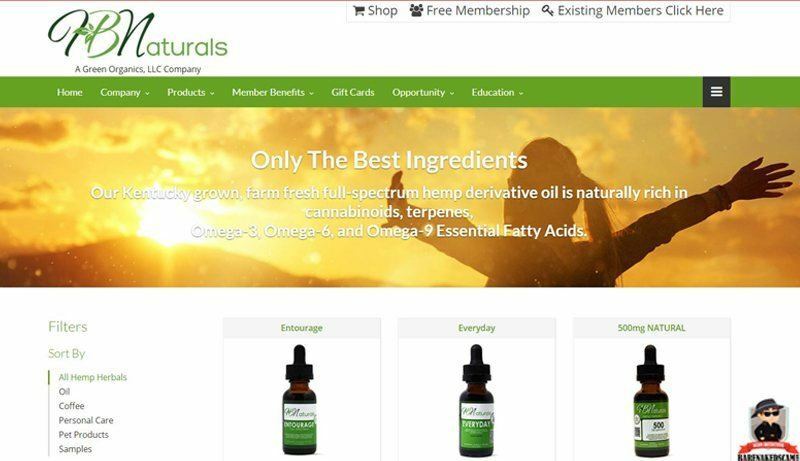 Once you become a registered member for Hemp Herbals, the company (HB Naturals) will provide your own free and personalized ShopHBN.com retail website. You can use this website to promote Hemp Herbals products and start earning immediately. Before we proceed to the detailed compensation plan of this Hemp Herbals review, let's familiarize these following technical terminologies first. CV - Commissionable Volume. This refers to the internet currency of Hemp Herbals that is attached to every product. Every time you purchase a product (either for personal consumption or to sell), you earn corresponding CV points which translates to commissions, incentives, and bonuses. PSV - Personal Sales Volume. Points earned by personal product purchases and retail sales. Active - A Hemp Herbals member who generate a minimum of 25 PSV in the last 31 days. Auto-Delivery - A set of product reorders automatically processed on the exact date each month. Consultant - A member who has completed a free online enrollment, 25 PV and at least one Active personally enrolled member. 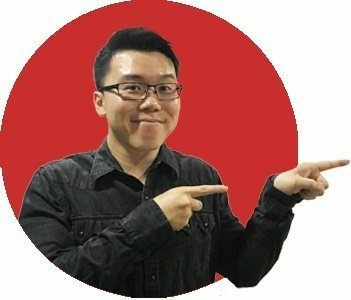 Binary Genealogy - Consultants have only two front-line members under them, the Strong Leg and the Pay Leg (also called the left and right leg on other MLM companies who uses a binary genealogy). When the Consultant manages to recruit and enroll more people, the additional members are placed at levels below others under the sponsoring Consultant. this article will provide you everything that you need to know. Now that you have a clear understanding as to what these terms signify, let's take a look on how you can make money with Hemp Herbals. Although the company claims to have 7 ways to earn as a distributor for Hemp Herbals, these earning potential actually falls under only 2 categories - Direct selling and Recruitment. 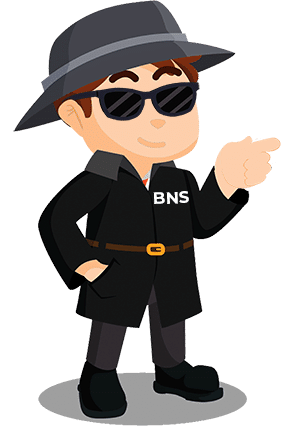 Earn 50% of the Commissionable Volume (CV) on retail orders placed on your free ShopHBN.com site. Earn up to 30% on wholesale orders of your Personally Enrolled Members (direct sponsors) during their first 90 days. Earn an extra $1,300 bonus every month when you have 100 PV, four (4) 1st Generation with 100 PV, sixteen (16) 2nd Generation with 100 PV, and sixty-four (64) 3rd Generation with 100 PV. Earn up to $1 for every 50 CV order placed by all the Hemp Herbal members under your team regardless of who enrolled them, as long as you have at least 25 PV. Earn 4%, 8%, or 12%, depending on your PV every time there is an accumulated 200 CV in each of your respective binary legs. When your rank advance within Hemp Herbals compensation plan structure, you have the potential to earn up to $190,000 respective to your current rank. Looking at the numbers above will surely get you “high” (no pun intended as CBD extracted from Hemp has no psychoactive effect). However, pardon me for pulling you down in the meantime. 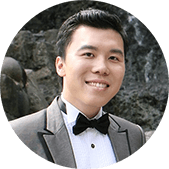 "Although the opportunity is unlimited, individual results will vary depending on market conditions, commitment levels, and sales skills of each participant." This is Hemp Herbals Income Disclosure as of November 1, 2018. Let me very clear at this point, I am not saying that this business opportunity can’t be your ticket to financial independence. It is my responsibility to inform you that more than 95% of the distributors of an MLM company is bound to fail which I will discuss in a moment. If you prefer another way to make money online, I am glad to inform you that there are other legit ways to make money today. All you have to do is learn each of them and choose one that suits your best. This statistic has been true and still remains true across the entire MLM industry today; Hemp Herbals is no exception. To help you make an informed decision on whether this company is for you, below are the main reasons why there is a high failure rate in the MLM industry. The most basic requirement for any business to prosper are a steady supply of prospects or leads. The same goes for MLM companies such as Hemp Herbals (under the umbrella company HB Naturals). One of the main reason why Hemp Herbal distributors fail is the lack of consistent leads or prospects. And in the case of Hemp Herbals, the hottest prospects you can ever hope for are people who need your products. Now I don’t know about you and where you come from but as for me, I would be lucky to have 1 among the 10 people I personally know who might want/need hemp dietary supplements. You need people who you can sell your products first. Finding people who might be interested to buy your hemp products seems to be a tall order to fill. However, there is an alternative way to find an endless stream of highly targeted prospects. If you are interested to become the next success story of Hemp Herbals, you should do yourself a favor and learn more about this program. Click Here: Make A Full-Time Income at Home Without Recruitment. Yes You Can! Another obstacle that stands between a Hemp Herbals distributors and the success in the MLM industry is the lack of proper training and skills. Sad to say but countless of distributors who are directly involved in MLM companies today lacks the proper knowledge about their own products, their company and the reality of the MLM industry where they belong. If you want to take control of your success, do not rely on your sponsor for training and support. You success in any business including in the MLM industry is in your own hands. I urge you to take action on your own. 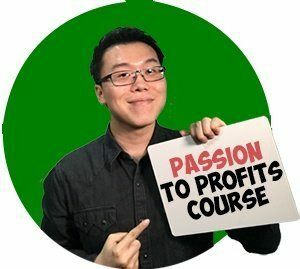 Grab success by learning the secret of the top 1% in the MLM industry through this online training program. 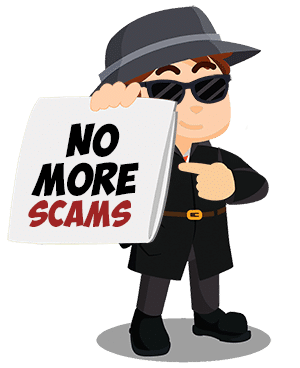 It is not a surprise that a vast number of distributors become a member of an MLM company like Hemp Herbals due to the hype and false promises by sponsors and coaches. This brings us to another reason why most people fail in the MLM industry. If your main reason for joining Hemp Herbals (or any other MLM company) is just to make easy money, then I am sorry but you are doom to fail. You may be not the one to blame for having such a belief because again, you might only have been a victim to other people’s false promises. Success in an MLM company (and on any business) like Hemp Herbals can only be a result of hard work, skills, dedication, patience, and leadership. There is no easy money and if someone told you otherwise, I am sorry but you have been deceived. Should you join Hemp Herbals? Now the biggest question you probably have, "Is Hemp Herbals a scam?" I purposely keep this crucial section of this Hemp Herbals review so far down because there are so many things that I must discuss first about Hemp Herbals such as its products and the business opportunity that eventually, leads to this conclusion. Hemp Herbals under the umbrella of HB Naturals is a legit opportunity with decent products that you can sell for profits. You can also choose to sponsor new people into the company and get paid with recruitment commissions. However, making money from MLM companies such as Hemp Herbals is very hard. I wouldn't recommend it to anyone as a steady source of income. If you are planning to join Hemp Herbals for the sake of getting discounts from its products, then by all means go ahead. 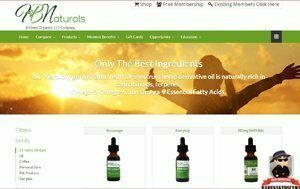 HB Natural offers a free membership program to anyone and by completing this process, you can enjoy the discounts for your needed Hemp Herbal products. But if want to join Hemp Herbals hoping to make a full-time income out of its incentive plan, then I think that there are much better alternatives that you should consider. For instance, I highly recommend that you learn about Affiliate Marketing. But do not get me wrong. I am not saying that you have no chance to succeed with an MLM business. There are many people who have done just that - and you could too. The people who manage to succeed in their MLM companies are the one who learn how to master the art of selling and recruitment. Thank you for taking the time to read this Hemp Herbals review. I am hoping that you found the answers that you were looking for. If you find this useful, kindly share this to the people you know who might need to read this too. Until next time and I wish you all the success in the future.